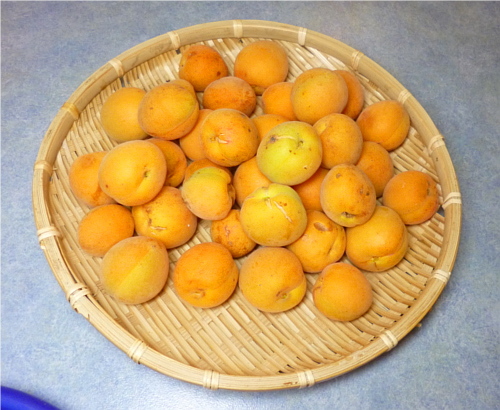 The apricots from our tree seemed to come early this year -- they were ready for picking on New Year's Eve. This picture shows about 80% of the harvest. We kept a few back to use in cocktails and eating fresh. 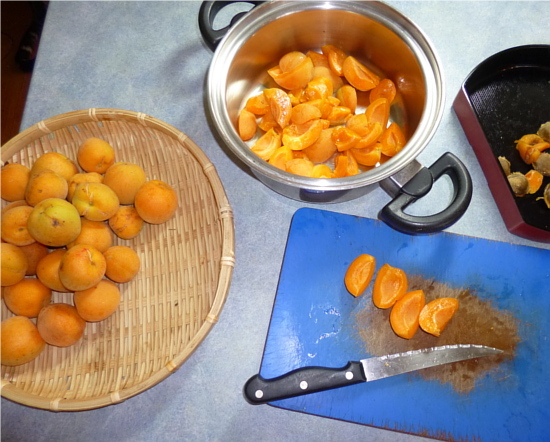 I love how easy apricots are to process. The stones pop right out! 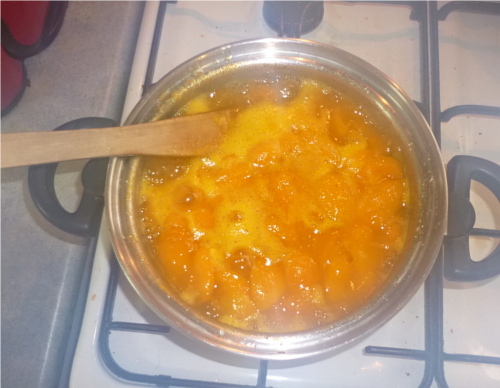 I decided to make stewed fruit instead of jam, as I wasn't quite ready for such a big undertaking, and also the harvest not quite big enough to justify so much effort. Stewed fruit is healthier than jam as well, as you only need to add a little sugar, or none at all if you like. I added about 3 tablespoons of sugar. 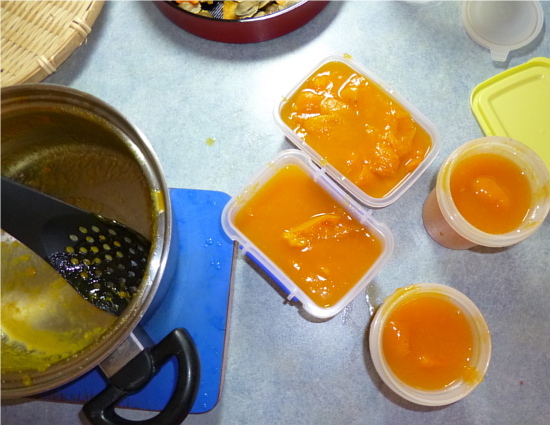 The downside of stewed fruit compared to jam is that it must be stored in the freezer. They only need to be cooked for about 15 minutes. The camera lens steamed up in this shot! 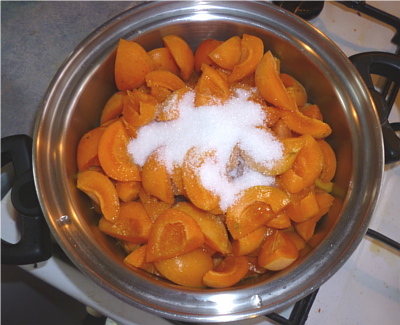 I put the apricots into small containers to make it easier to defrost and use them later.